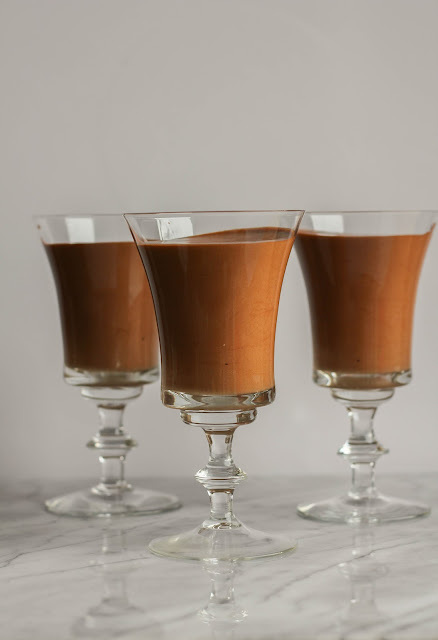 This decadent and creamy chocolate mousse is simple to make and is made with just a few high quality ingredients. It's one dreamy, chocolaty dessert that will have your family and friends asking for more! It's no secret that I love chocolate. I would take a piece of really good chocolate or a chocolate dessert at the end of my meal every day if I could. I've been working on my menu for Easter and want to make something really special for dessert. We always have a few choices for desserts on the table, but I wanted something chocolaty and decadent. 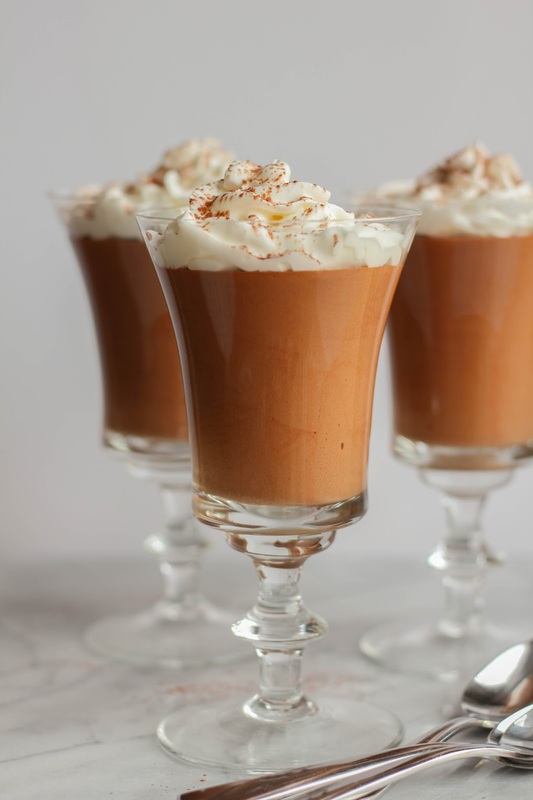 Chocolate mousse seemed like the perfect choice. This Dark Chocolate Mousse is much easier to make than you might think. It's take a bit of time to pull it all together, but the steps are not difficult and the results are well worth it. 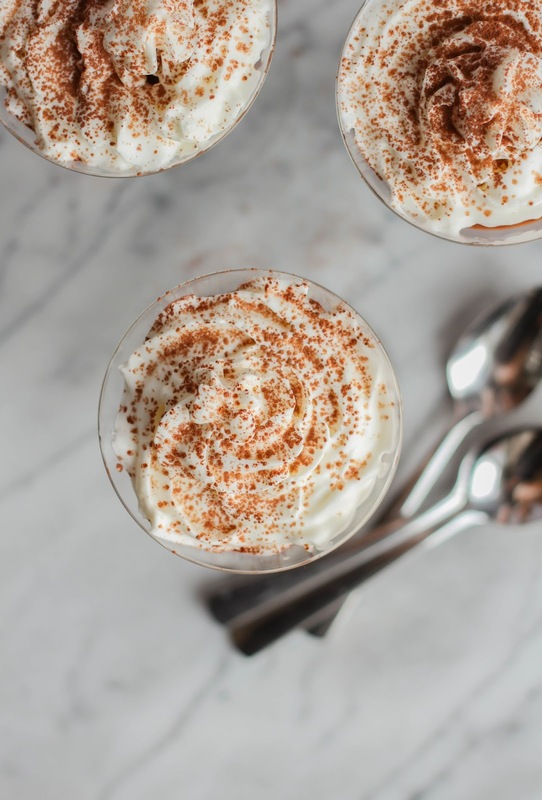 When I found out that this weeks' Sunday Supper theme was Eggtastic Recipes, I knew this would be the perfect time to share my mousse recipe! When you think of egg recipes, most imagine deviled eggs, breakfast recipes, quiche, and so forth. But I wanted my Eggstrordinary recipe to be a dessert featuring eggs! 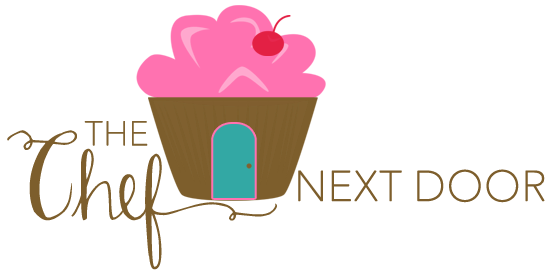 Be sure to scroll down to the bottom of this post to find more than 50 amazing egg recipes from my Sunday Supper friends! From appetizers and sides dishes to mains and desserts, we've got you covered! Do you have a favorite Eggtastic recipe? Share with me in the comments below! 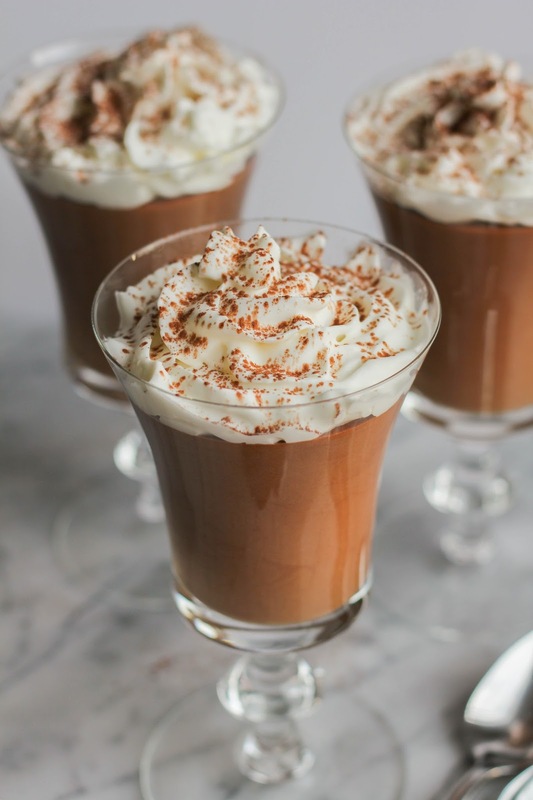 Now, who's ready to make some creamy, dreamy chocolate mousse? In a medium saucepan, heat 3/4 cup of the cream until hot. In a small bowl, whisk together the egg yolks, sugar, and salt until well combined. Slowly add the hot cream, whisking until combined. Transfer the mixture back to the saucepan and cook over low heat, stirring constantly, until it registers 160 degrees on a thermometer. Pour the mixture through a fine-mesh sieve into a bowl and stir in the vanilla. In a glass bowl, melt the chocolate in a microwave for about 2 minutes, stirring every 30 seconds. Slowly whisk the chocolate into the cream mixture until smooth. In the bowl of a stand mixer fitted with the whisk attachment, beat the remaining 1 1/4 cups cream until stiff peaks form, about 3 minutes. Whisk about a quarter of the whipped cream into the chocolate custard, then gently fold in the remaining cream until no streaks remain. Spoon the mousse into 6 dessert glasses or ramekins and chill for at least 3 hours. Before serving, topped with whipped cream and a dusting of cocoa powder, if desired.